Samson Comes to Branson in 2018! Biblical hero Samson is being brought to life LIVE on stage in Branson, Missouri in 2018 at Sight & Sound Theatre in Branson! Don’t miss Samson in Branson, MO in 2018 at Sight & Sound Theatre! For more than 40+ years, Sight and Sound Theatres has blessed audiences with some of the greatest Biblical stories ever told! Each production is full of surprises, incredibly immersive stage sets, and unmatched productions that leave the audience in wonder. From the live animals, to the beautifully designed sets there is nothing quite like it. With each production better than the last, Samson is sure to be an action-packed hit! A History of Bringing the Bible to Life! Glen Eshelman was a painter turned photographer who favored scenic landscapes, which he believed showcased God’s beautiful Creation. When a local church gave him the opportunity to present his photos, he had the idea to set this slideshow to music and his own narration. This slideshow was the starting point for a greater vision. After the slideshow’s success, Glen and Shirley Eshelman were inspired to bring their vision to life and opened Living Waters Theater in 1976. This theater, located in Lancaster, Pennsylvania would be a place where people could be swept up into all the great stories of God’s love and faithfulness. Tribulation came in the form of a fire. In 1997, the Entertainment Centre burned to the ground taking everything but their dreams. The destruction of the theater paved the way for something better and Sight and Sound Theater rose up from the ashes. The magnificent Sight and Sound Theater would seat 2000 people and allow hundreds of thousands to witness the awe inducing productions each year. Its popularity grew to such great proportions, that the founders were inspired to bring their story telling talent all the way to Branson, Missouri to deliver their message – and in 2008, Noah: The Musical debuted in Branson’s very own Sight and Sound Theater! Samson Celebrates Sight & Sound’s 10-Year Anniversary in Branson! 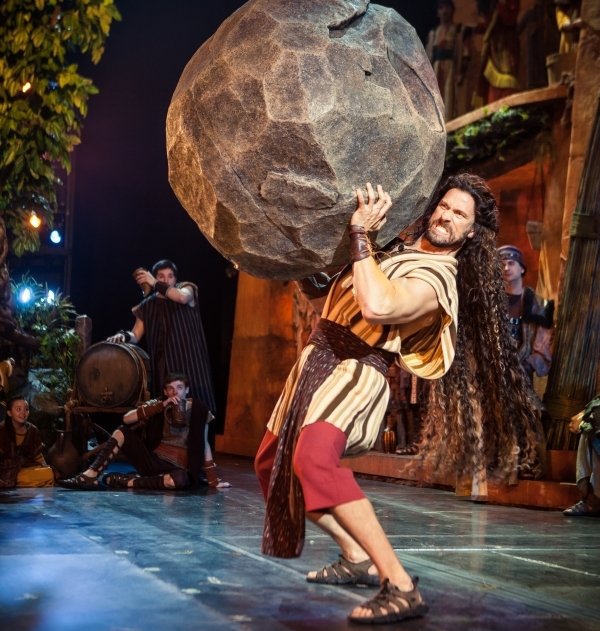 Celebrating its 10 year anniversary, Branson’s Sight and Sound Theater brings us Samson in 2018! The Story of Samson Comes to Life at Sight & Sound Theatre in Branson, MO in 2018! Samson is a story of God-given power – and as we all know, with great power comes great responsibility. Samson’s power was intrinsically tied to his obedience to God. As we see with many characters from the Bible, obedience is not always an easy feat. The Bible’s most important characters were called directly by God but their struggles to fulfill their destiny teach us the greatest lessons. Sight and Sound’s specialty is bringing these characters and their timeless stories to life in a meaningful way. Audiences may come to the theater hoping to be entertained and that promise is indeed satisfied, but they leave with much more than that! 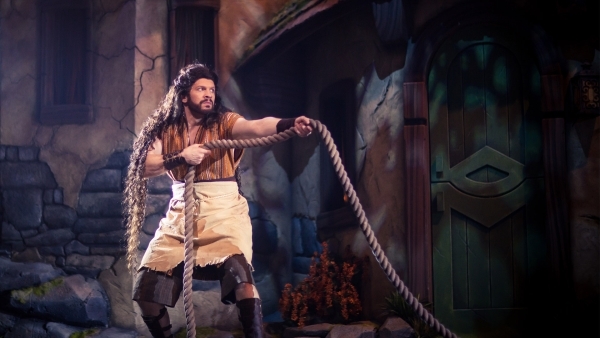 Don’t Miss Samson in Branson, Missouri in 2018! For tickets, reservations, or questions call: 1 (800) 504-0115 – or visit Samson’s show page for details, schedule, information, and more.